The eligible candidates can apply now, today, or the online application will close. As for the eligibility, any Indian citizen of a minimum of18 years of age and a maximum of 42 years as on 01.07.2018 can apply. This means that anyone who was born after 2nd July 1976 and not after 1st July 2000 can apply. 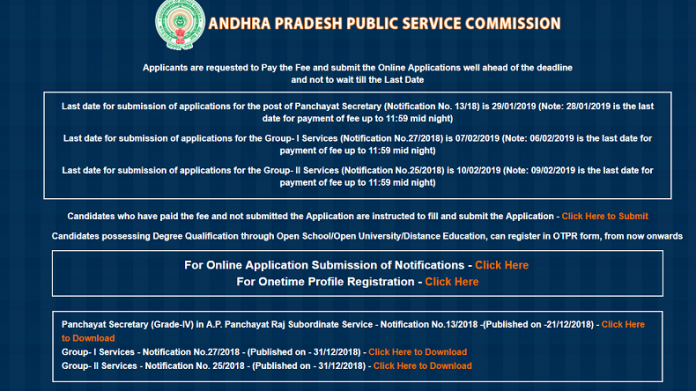 APPSC Panchayat Secretary educational qualification, a candidate must be a graduate from any Government recognized University in India or an Institution recognized by the University Grants Commission (UGC).